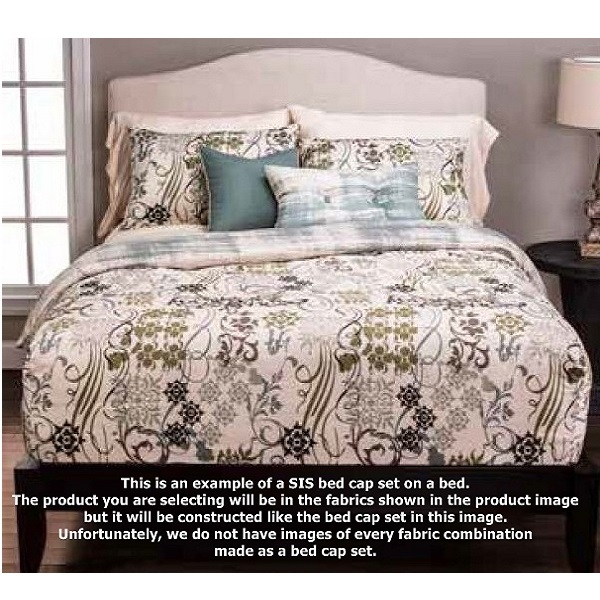 Treat yourself to a little luxury with this magnificent line of craftsman bedding! A craftsman inspired print with reds, greens, and gold make up the Mission Statement 4 piece bed cap set. 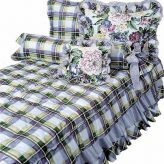 It includes a reversible bed cap (fitted comforter) filled with high loft polyester fiber fill, a reversible sham, a 16” x 16” decorative pillow and a 14” x 26” decorative pillow in the coordinating fabrics shown. 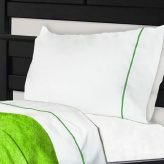 This set is also available in full, queen and king sizes which include 2 shams instead of 1. This bed cap can be made to any mattress depth at no additional cost. 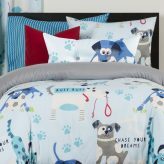 Made of extremely soft, long lasting 100% polyester, this set is machine washable and made in the USA. 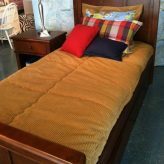 Bed caps are a modern alternative for any bed but they are especially suited to bunks, lofts, platform beds and captains beds. Measure your mattress depth for the perfect fit! 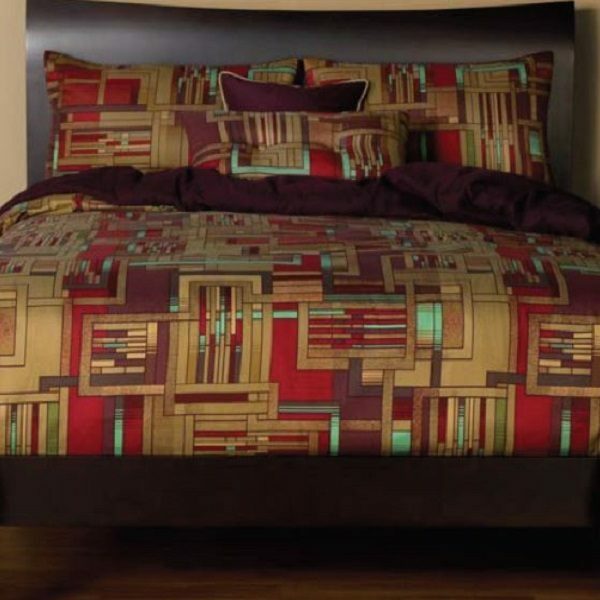 Craftsman Bedding in Rich Reds, Greens, and Golds! Craftsman Bedding! 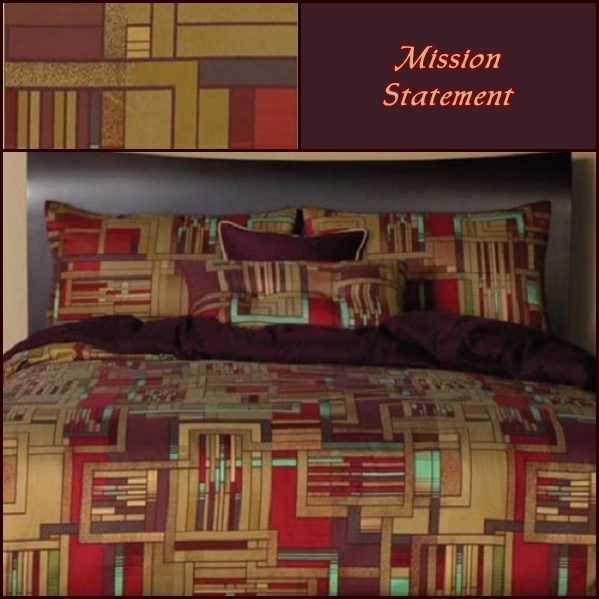 This Mission Statement 4 piece Bed Cap Set includes 1 reversible filled bed cap, 1 reversible sham, 1 – 16 x 16 decorative pillow, and 1 – 14 x 26 decorative pillow. Full, queen and king sizes are available too and they come with 2 shams per set instead of 1. Delivery: This is a custom made item and usually ships in 10 days to 2 weeks. Warranty: This product is guaranteed for workmanship and materials for the life of the product. Warranty does not include normal fabric wear, sun damage, or damage due to misuse.